How Far is Salarpuria Sattva Celesta? Salarpuria Sattva Celesta is based in an amidst buzzing localities with close proximity to every need. Serene environment and subtle climate are all that K.R. Puram offers to you. This place is very well - connected to the other major parts of the city and has everything that you would want to have nearby your residential space. Salarpuria Sattva Celesta provides you a comfortable living environment in K.R. Puram, Bangalore. 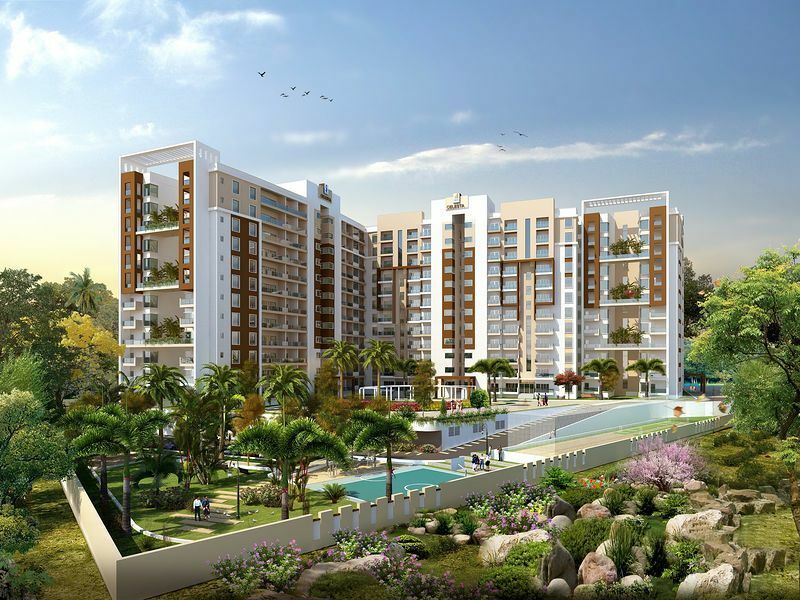 This project is spread across 4.9 acres and comprises of 283 ready to occupy flats in Bangalore. 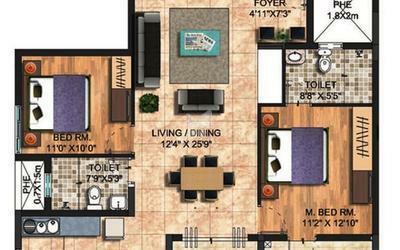 These flats include 2BHK with size ranging from 1330 sq. ft. compact and spacious apartments and 3BHK with size ranging from 1859 - 1869 sq. ft. well - planned, equipped with world class amenities for sale in K.R. Puram, Bangalore. The location of this project provides you a balanced life between the city along with the peace and tranquility that comes along with this project. If you seek a home that has dual benefits and equally serves you well, this project is just the right option for you. In a place like Bangalore, finding such a combination is much difficult, but Salarpuria Sattva Celesta is just the perfect housing solution. Salarpuria Sattva Celesta has an array of benefits such as piazza, tot lot, nanny’s corner, amphitheater and senior citizens area.